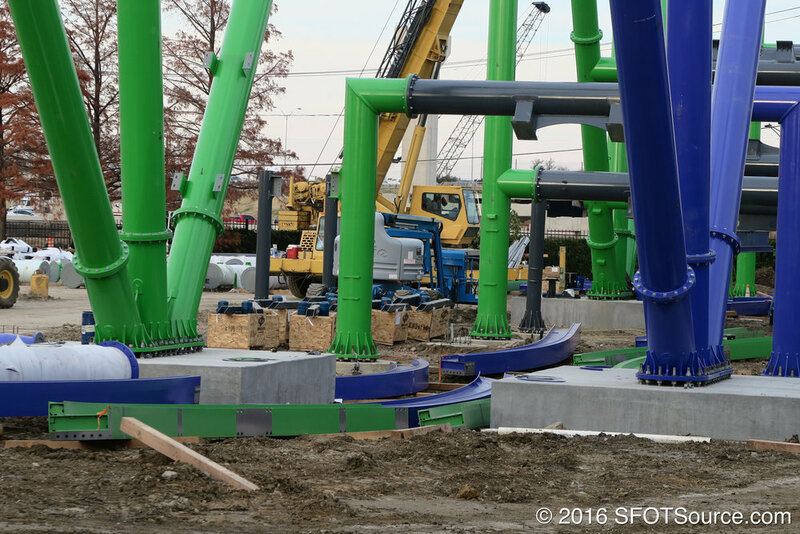 Crews are wasting no time erecting The Joker. 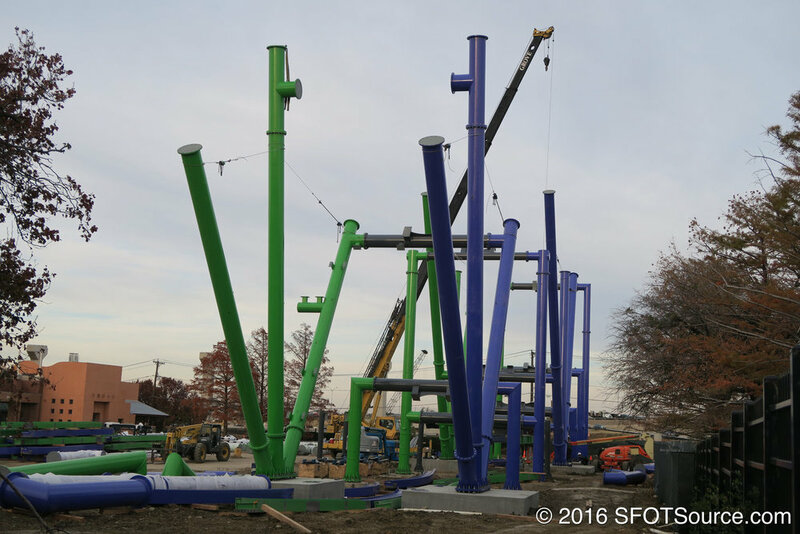 A number of supports have already been installed. 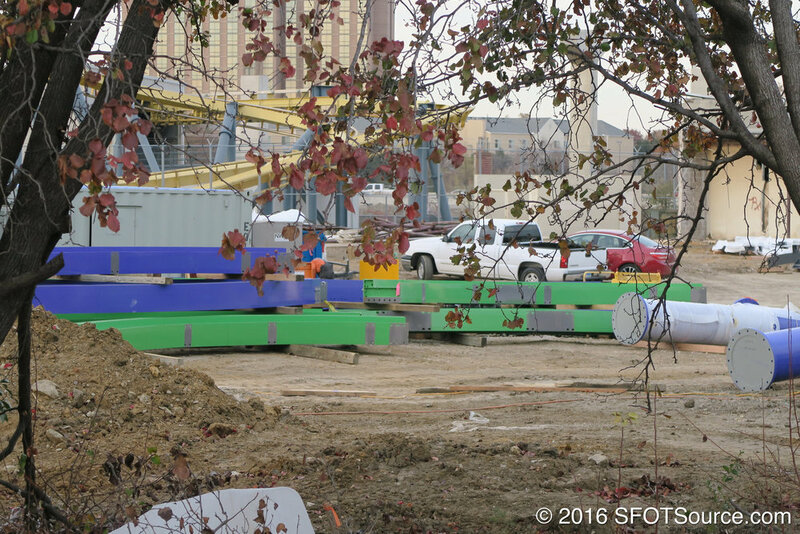 More track pieces sitting under the main ride structure. A look atop the current installed supports. Joker is beginning to creep into the park's skyline. A look at construction from the Batman exit ramp.